So the new Star Wars teaser trailer for The Force Awakens arrived and obliterated trailer view records by a kajillion. 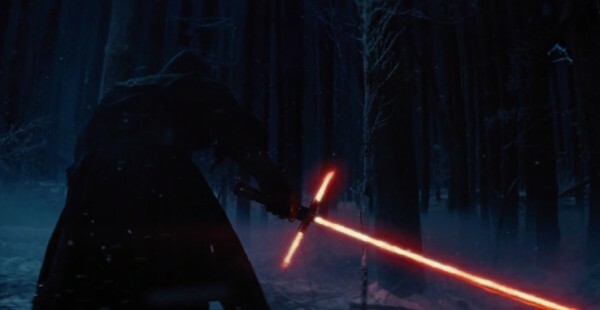 One of the most talked about items was the new sith and his lightsaber. 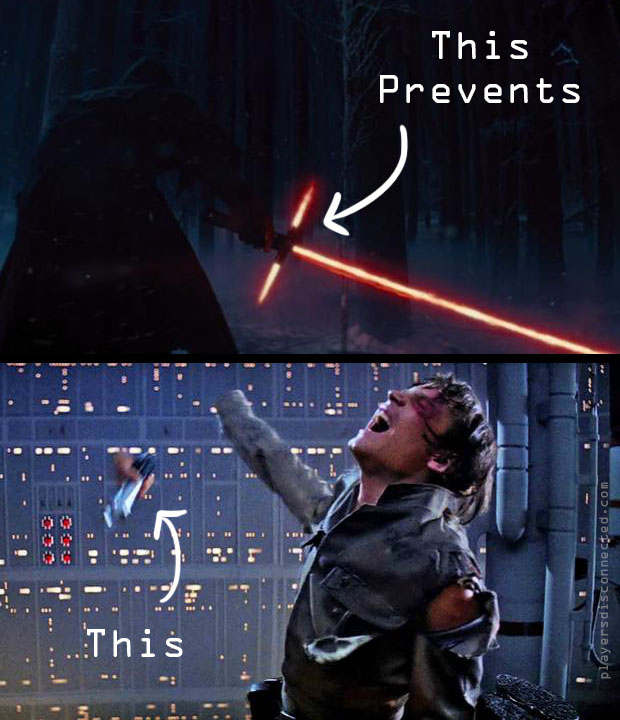 The lightsaber appears to have two side beams that act as hand guards. While this looked cool and then had you questioning why possibly, Stephen Colbert breaks it down so well that you have no choice but to understand it and love it. First watch Colbert react to the trailer and then watch him breakdown the saber itself.